Electric Diva online slot features a new reel heroine, capable of destroying invading alien machines with her electric guitar. Developed by Mahigaming and delivered to online casinos by Microgaming's Quickfire platform, the battle between the Electric Diva and the Aliens takes place in the Free-Spins Bonus Game. Lucky slot players landing on Bonus Game Symbols that will enable them to help Electric Diva destroy the alien ships, may win up to 40 free-spins, and collect prizes multiplied by a factor as high as 8x. Players though must first spin the base game reels, and at the same time enjoy the thrills of landing on different matched payline groupings with or without the help of a Wild Symbol. 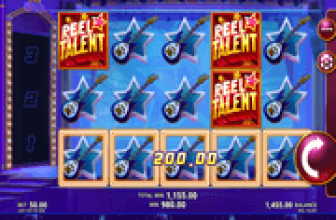 Reaping rewards from payline wins and from the Electric Guitar Scatter Symbols may help optimize one's betting money, whilst waiting for that special spin outcome that will trigger the Electric Diva Bonus Game. 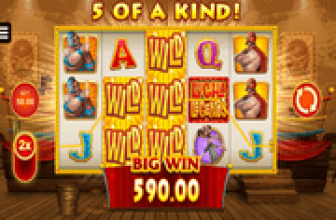 The game's logo serves as Wild Symbol that helps players complete or expand winning combos in an active payline in which the Wild is positioned. If the Electric Diva (ED)Wild icon itself appears as 3-, 4- or -5-of-a-kind combination in any live payline, the rewards are just as bountiful. The ED Wild pays as much as x25, x150, x750, x12000 the Bet per payline for corresponding matched Wild symbol groupings. An icon bearing a pair of Electric Guitars and marked as Scatter may appear in any position across the reels. Three (3), four (4) or five (5) of those Scatters emerging simultaneously after a spin, accordingly award Scatter Wins at x2, x20, or x100 the Total Bet staked on the triggering spin. 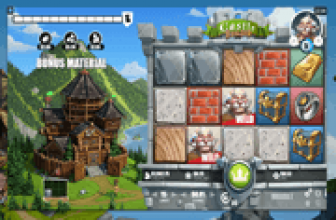 That is only the tip of the iceberg so to speak, because more free-spins and a higher multiplier factor can be won in the first stage of the Bonus Game. Electric Diva Pick and Click Bonus Game – Yet be wary, as one of those Aliens Machines may reveal a Start Free-Spins message. Revealing this prompt will automatically bring the game to the second stage, the Electric Diva Free-Spins Round. The sum of all Free-Spins won and the total Multiplier Factor unraveled will come into play during the Free Games. Here all bonus wins, including Scatter Rewards will be paid in fold at no extra cost at all.